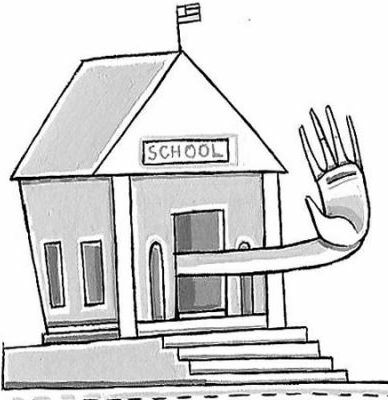 "Opt Out" refers to the process defined in the No Child Left Behind Act that allows secondary students to with hold their contact information from automatically being released to military recruiters by the school district or school. The law says that if a student has a letter or form signed by his/her parent the school does NOT have permission to give out their child’s contact info to recruiters, and the school must respect the parent’s decision. The law also allows a student to directly opt out without parent permission, regardless of age. Schools have varying policies on what forms and letters they accept. If they do have a form, it is often in the stack of papers students get in the first few days of school and it is highly overlooked. In fact, some schools do not even know their own policy, so you have to push them to find out, and if they do not have one in place then you can help create that policy. In the meantime, however, they must accept your requests in whatever form you give them. Schools have different deadlines for opting out, but they are usually in the beginning of the school year, often in October. Make sure to find out the deadline as soon as possible. Prominently display the opt-out information on the student emergency contact card. Ensure that the right to opt out from giving information to the military is not linked to other releases of information (so that the district cannot combine the release of contact information to recruiters with other agencies and thereby force students to give up receiving contacts from institutions like colleges). Students should have the right to opt themselves out, and either students or parents should be able opt-out at any time of the year. Provide contact information on the opt-out form for alternative viewpoints (such as the American Friends Service Committee, Project YANO and CAMS), so that students can get a more balanced picture of what it means to join the military. Development of a packet of resources on rights to privacy from military recruiters and information about the practices of military recruiters and alternatives to military service. Charge the military recruiters (and all other institutional recruiters) for access to student contact information. Have all recruiters sign an affidavit declaring compliance with local, state, and national discrimination laws. Require public notification of military recruiter visits to schools. Organize an Opt Out Week. For example, Click here to check out this blog! Here are some recommended links available to better inform you about opt out strategies . This is a work in progress and NNOMY will be adding new documents as they are prepared and as policies change that effect enlistment. Check back periodically.